Stay cool and protected from the harsh sun rays under the shade of the 3 sqm Mauritius umbrella. 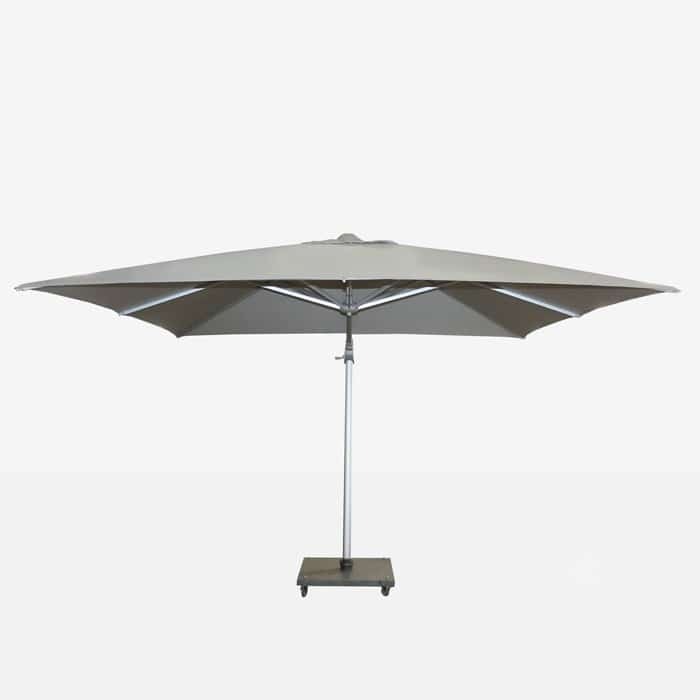 This large, sophisticated square umbrella will provide ample coverage for your outdoor relaxing space and look stunning doing so. 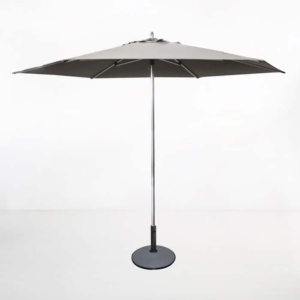 This umbrella includes the granite base with wheels in the price. 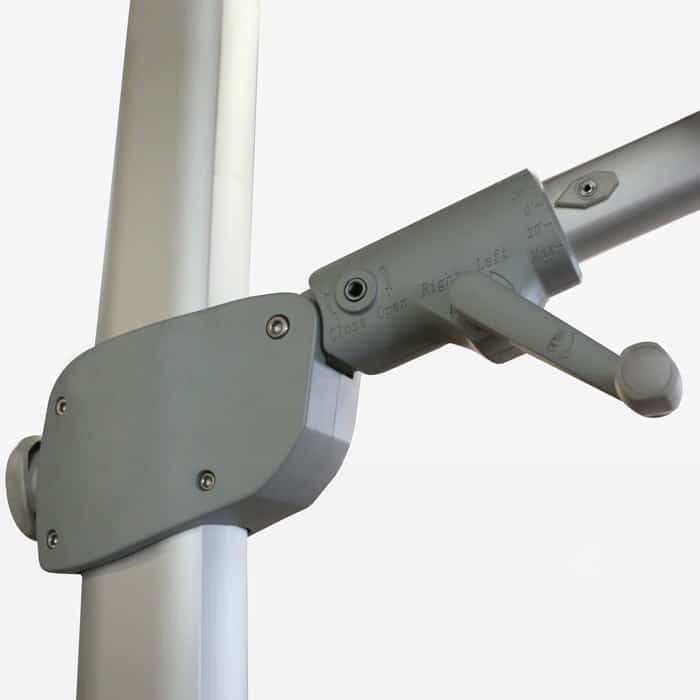 The wheels have a locking mechanism so that the umbrella will stay in place. 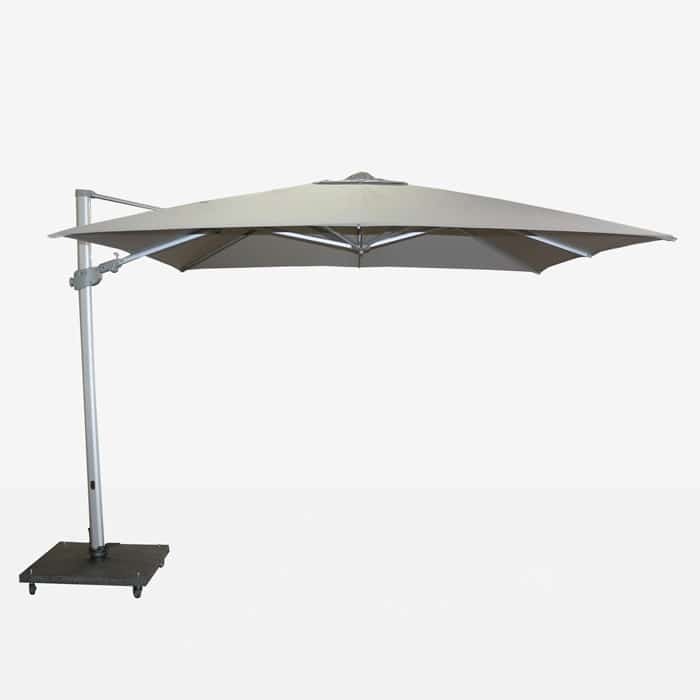 The Mauritius umbrella is a fantastic option for outdoor shade. 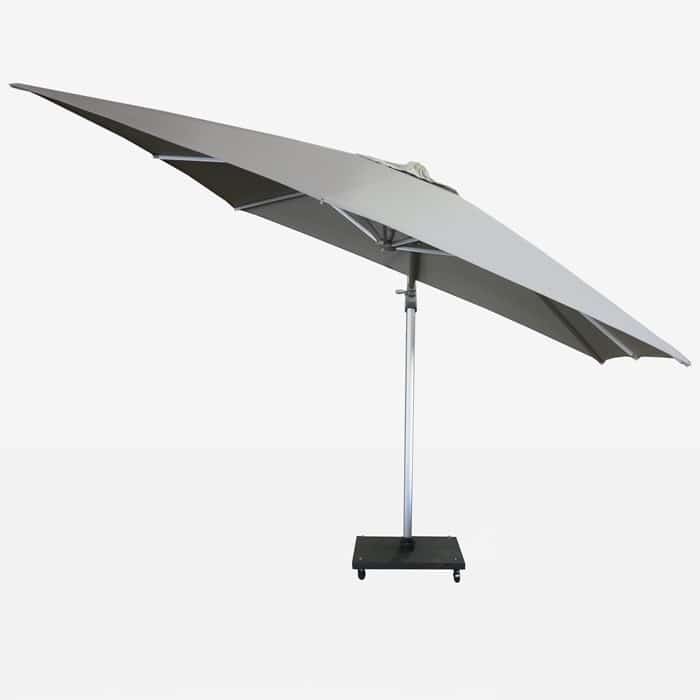 Not only is it large, but it tilts at 3 different angles for easy coverage. 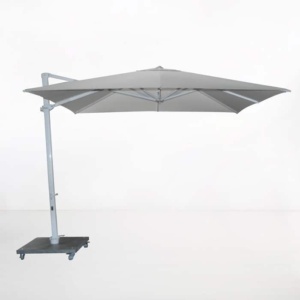 The mechanism to adjust the umbrella is very easy to use. Simply rotate the handle and adjust the round knob to keep it in place. 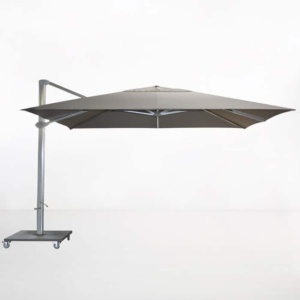 This patio umbrella is made with anodized aluminium, stainless steel and Sunbrella® fabric. We only use high quality materials that are perfect for outdoor use. You will not be disappointed with this umbrella! 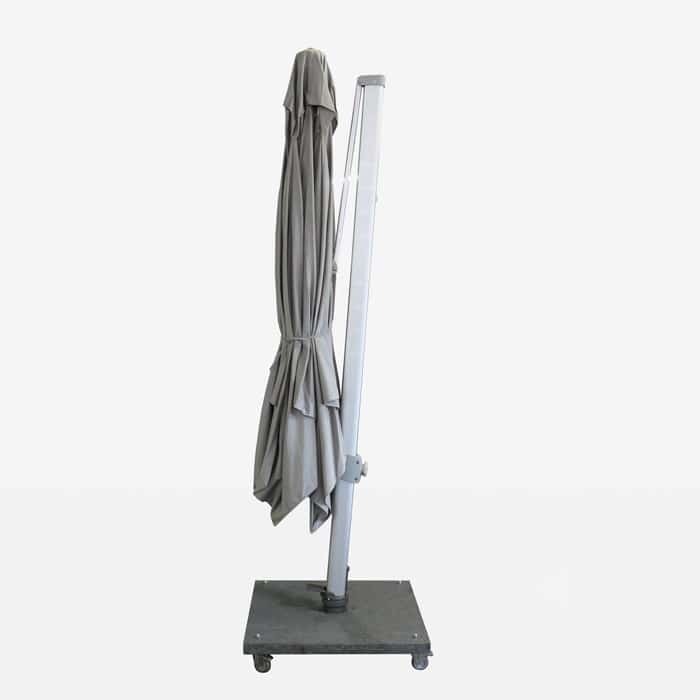 The granite base with wheels, as shown, is included in the price of the umbrella. The overall height of the Mauritius Umbrella from ground to the top of the canopy is 267cm, this includes the height of the base. Please call if you have questions, we are here to help.